Drying environment, external aggressions, stress, Modern lifestyle makes skin become dry, dull & fragile. It needs more help to keep moisture & freshness. 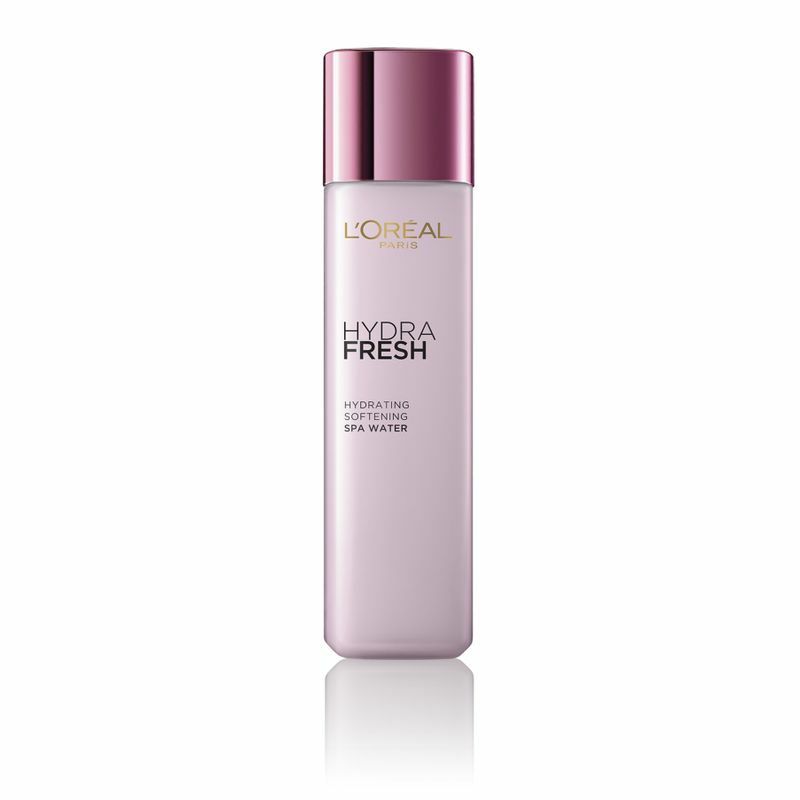 The L'Oreal Paris Hydrafresh Anti-OX Spa Water is an antioxidant-packed, hydrating facial water that keeps skin hydrated and soft.This refreshing and hydrating spa water contains French Grape Polyphenols that are rich in powerful antioxidants helping neutralize free radicals caused by daily aggressions.It immediately quenches skin and adds radiance.Blended with French Vosges SPA Water which is naturally rich in minerals it leaves the skin bouncy, fresh, radiant and soothed. Helps stimulate cell vitality & maintain an optimal hydration level. Skin is hydrated and feels soft. Infused with Oligo-Protein to soften skin. Skin feels supple, comfortable with a radiant look.